Janet Jackson has found herself locked in the middle of a brand new controversy. You see, the 50-year-old Janet is claiming to be getting ready to give birth to a child with husband Wissum Al Mana. But there are rumors that Janet actually hired a SURROGATE to carry the baby, and that she&apos;s just "faking" her pregnancy. 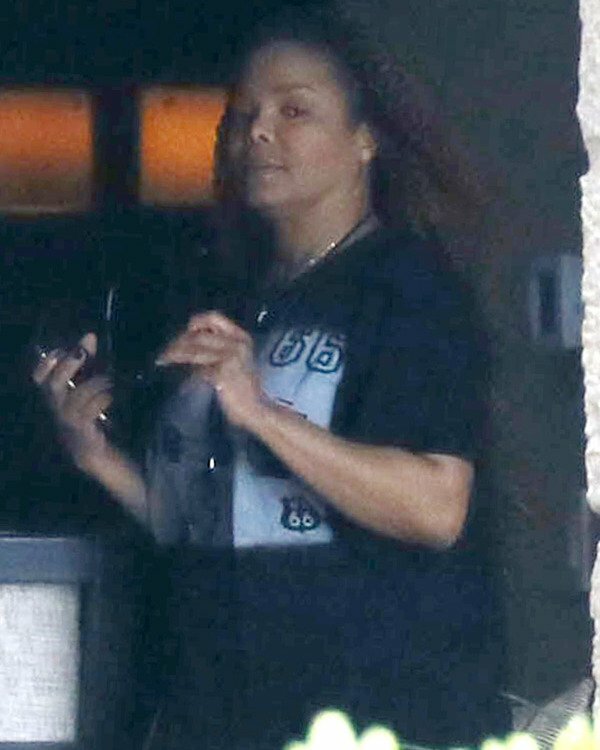 We&apos;re not willing to take any position on the RUMORS, but we saw a pic taken of Janet yesterday - and she does NOT look pregnant. As prone as that lady is to gaining weight, she would be MUCH BIGGER if she was in fact eight months preggers.